When Oli bakes – he bakes. I couldn’t believe it when he asked me to kitchen test this bread recipe. (All four pounds of it!) But I set aside an afternoon and was pleasantly surprised at how easy it was. And besides, who doesn’t love the homey aroma and flavor of freshly baked bread? 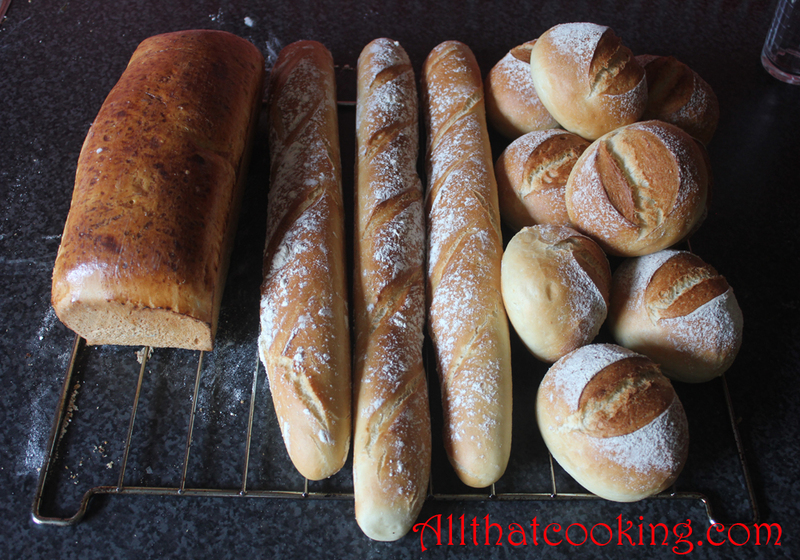 I wasn’t as adept as the pro who made baguettes, rolls and a loaf. I made 2 loafs, and some free form boules and rolls and was not disappointed (neither were any of my friends who were the recipients of my bread baking extravaganza). When we talked about my bread baking experience and I showed the chef my results, (isn’t Skype grand?) 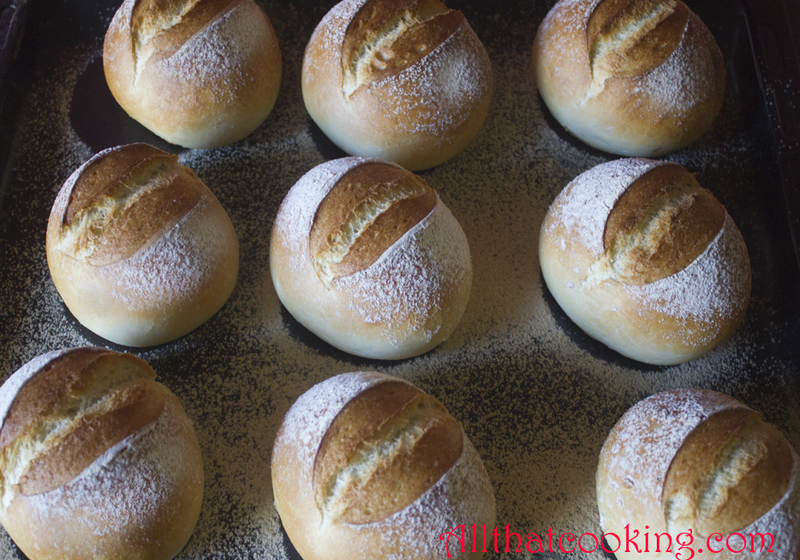 I discovered that I was the first pupil in Oli’s bread school – an idea he had for the blog. So welcome to the first lesson: basic bread making. Just to whet your appetite, he has plans to include Icelandic rye bread and a family recipe for pan-fried bread. We’ve asked one of our friends who is an amazing bread baker (even makes her own yeast!) to share her techniques. We are looking forward to her guest blog (when she’s in town long enough between glob trotting adventures!). I also know an amazing physical therapist (you know who you are) who never buys bread. It’s always home made at her house. I plan to coax her into sharing some of her bread baking knowledge with us as well. Anyway, the weather is getting cooler and the time is right. Think about it, some flour, water, yeast. . . home made bread. . . home made bread ! This recipe gives you about 4 pounds of dough. Weigh the dough on a kitchen scale and just divide into equal portions by weight. 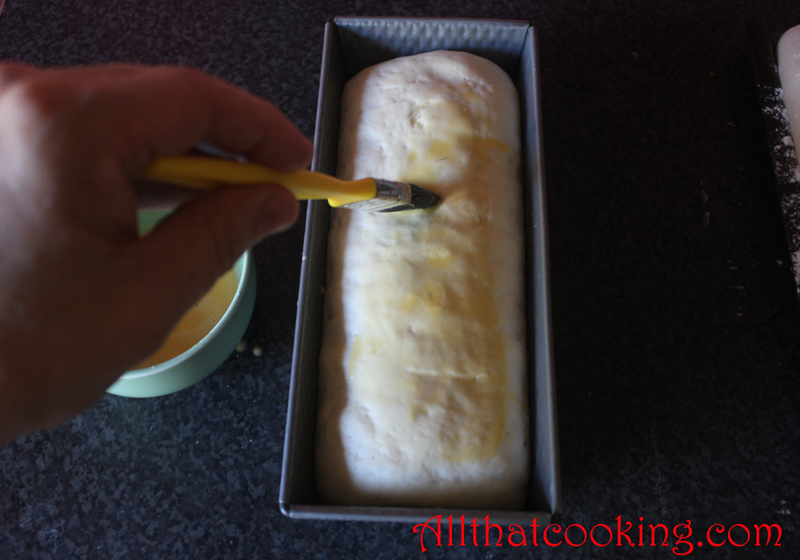 Use loaf pans, shape into rolls or whatever forms you like. 1. 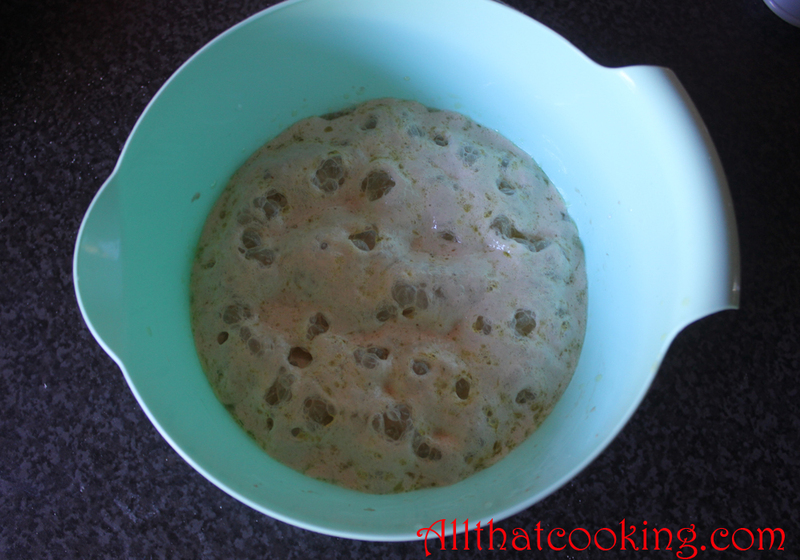 In a large bowl mix together water, oil, dried yeast and sugar. 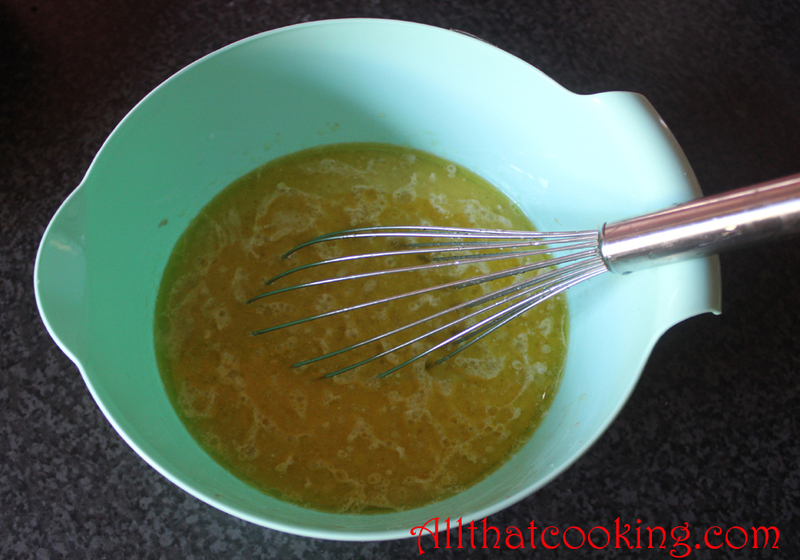 Use a whisk to stir until well mixed and sugar is dissolved. Let mixture stand for about 10 minutes until it forms a froth. The yeast has now been activated and you are ready to go. 2. 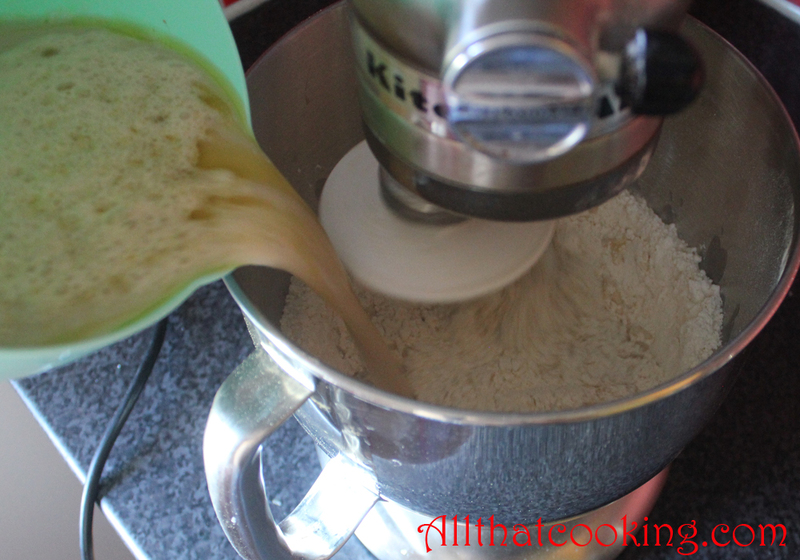 Combine flour and salt in the bowl of a stand mixer fitted with a dough hook. Blend well. 3. Pour yeast mixture into flour, set the mixer to slow speed and mix for about 5 minutes or until dough is smooth and elastic. 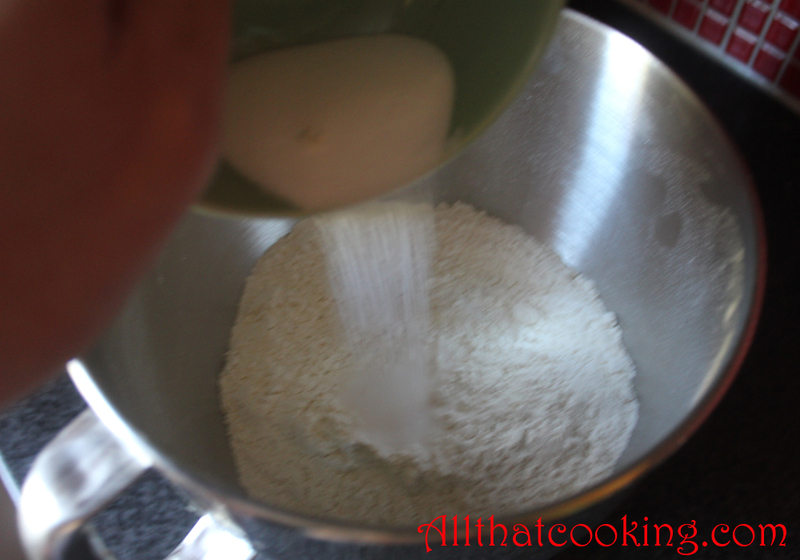 Scrape flour from sides of bowl as necessary. 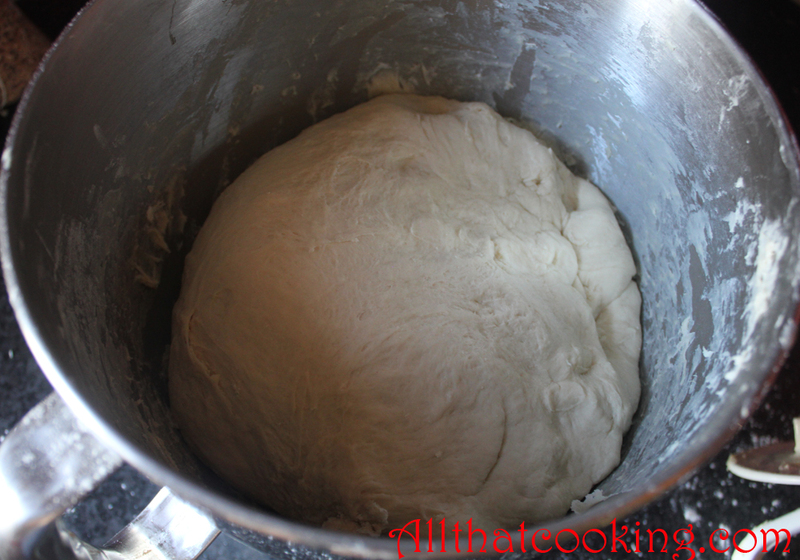 You should have a dough that is almost sticks to your hand when touched and comes away from the sides of the bowl. 4. Remove bowl from stand and cover with plastic wrap or damp cloth. 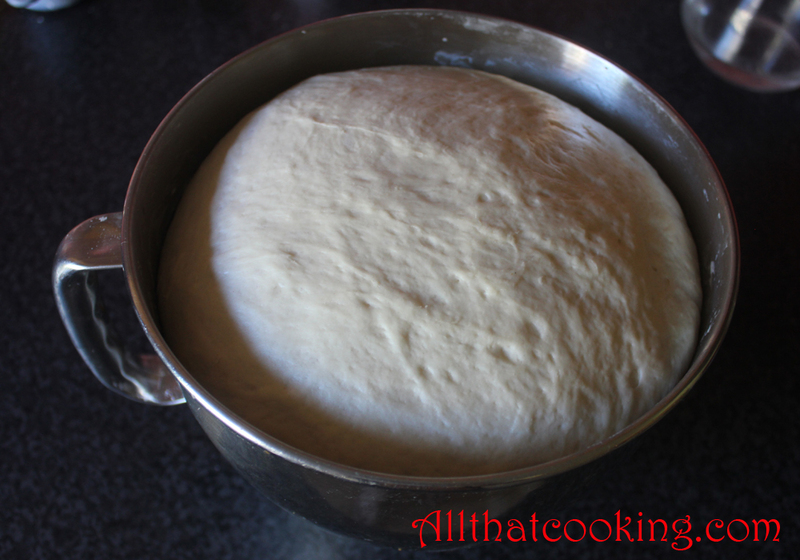 Place in warm area until dough doubles in size. 1. Punch dough down and divide into equal portions. 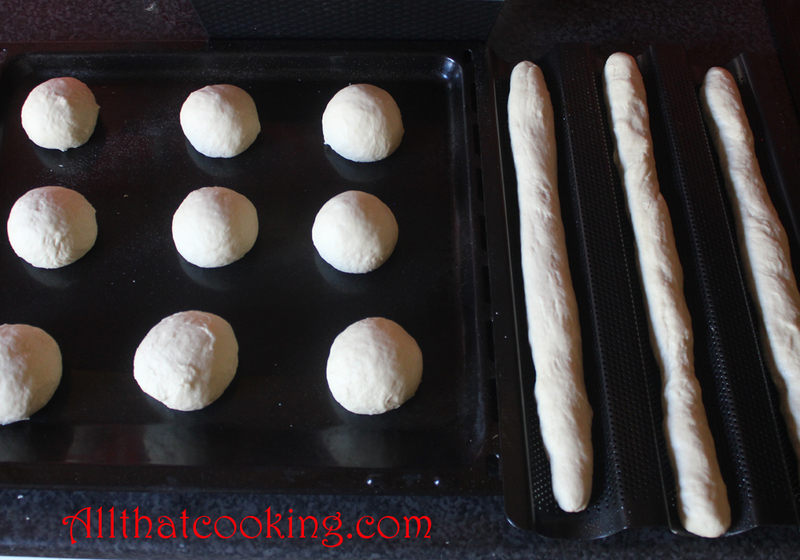 Knead the divided doughs lightly, just enough to shape them the way you like or put into lightly greased loaf pans. 2. Cover again until triple in size. 3. Lightly brush tops with egg wash. Cool breads on wire rack. 1. 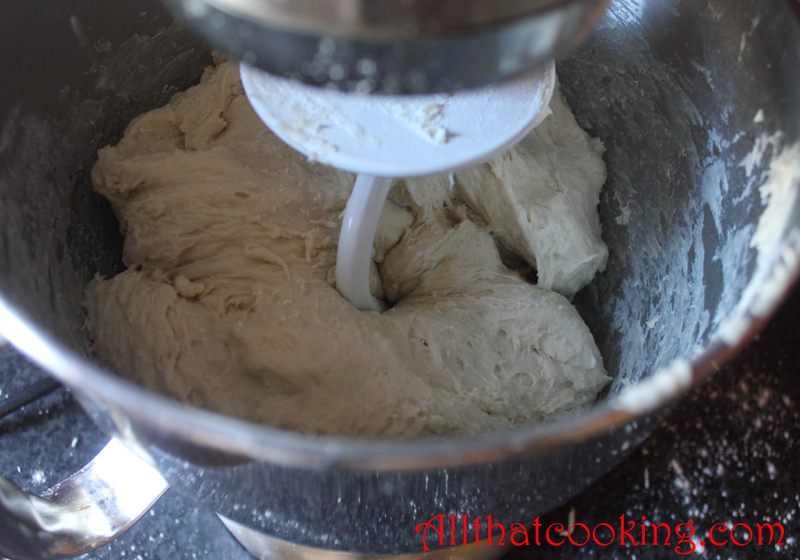 Weight the dough and divide into equal portions by weight. 2. 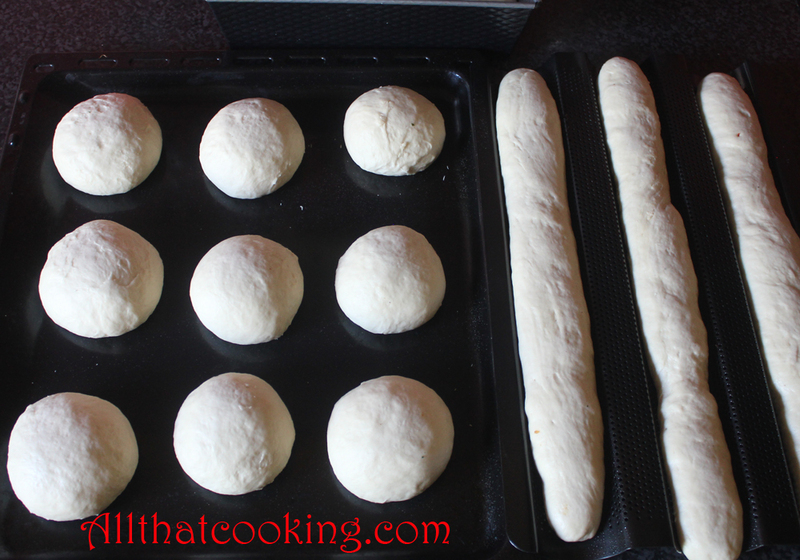 Knead each one for a few seconds and shape into rolls or place in lightly greased baguette pans. 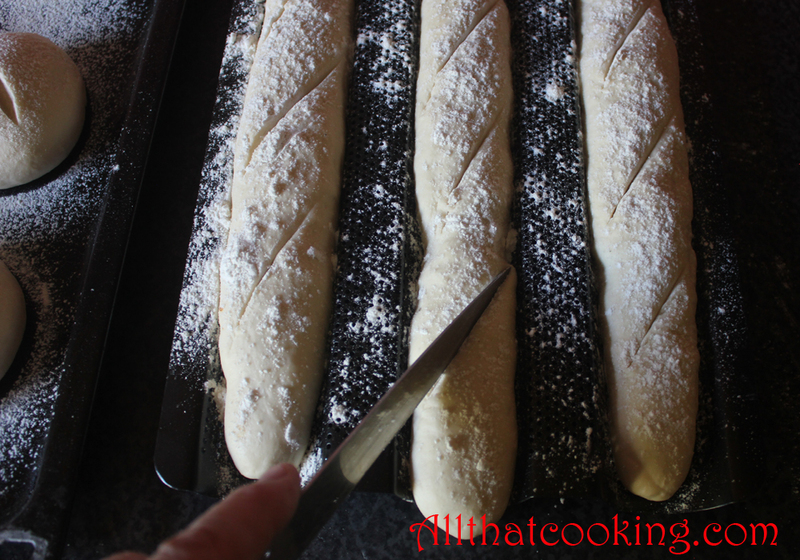 Don’t knead to hard because the dough will become too elastic and if you are making baguettes the dough will be difficult to roll. 3. Cover and let double in size. 4. 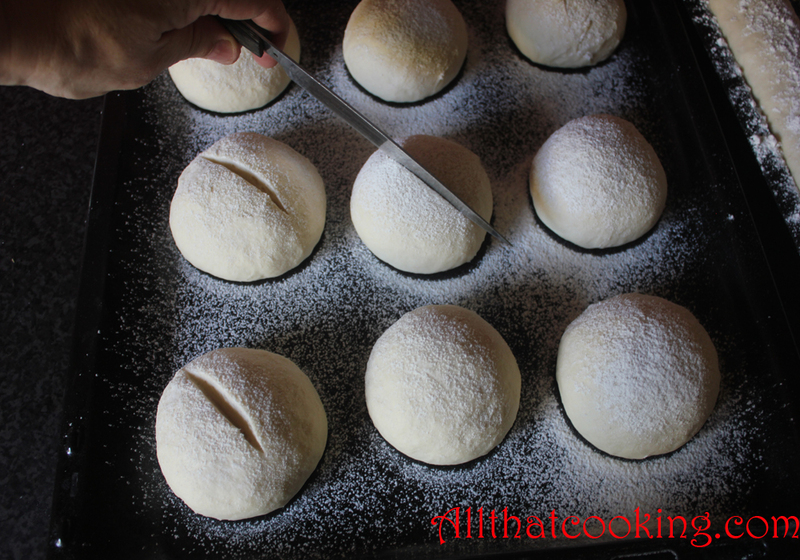 Lightly sprinkle tops with flour and use a sharp knife to score the tops. toss 1/2 cup water over the bottom of the oven. 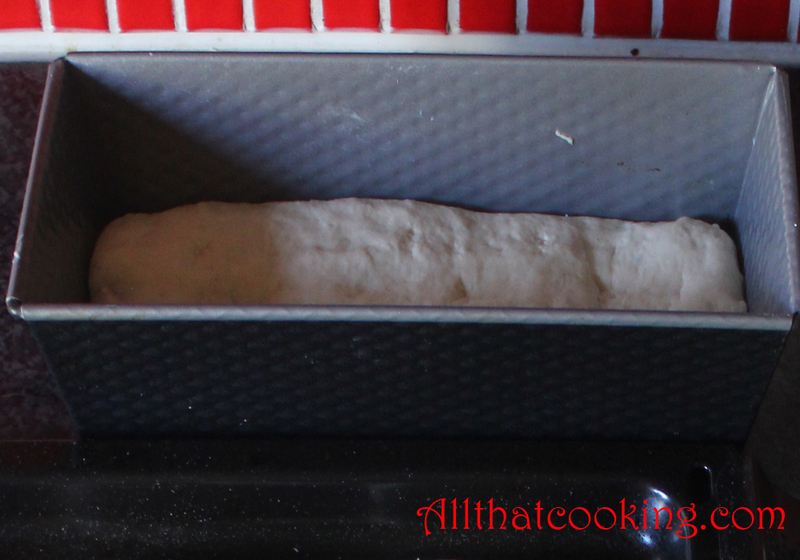 This produces an extreme steam and helps the dough to rise. Oli likes the baguettes and rolls better after a second baking. warm them in a preheated 400F oven for 1o minutes. You now have a just right crust with a perfect crunch. Pass the butter please. . .
Gallery | This entry was posted in Baking and tagged baguettes, baking bread, bread boules, bread making 101, home-made bread, rolls. Bookmark the permalink. I love bread! I think that is way I cant loose weight. Olie did a great job on this bread! Good Lord! You guys made some perfect, outstanding breads! The color, texture….everything came out so incredibly awesome! Great job done! I’ve never made bread at home. But now I’m inspired and triggered! 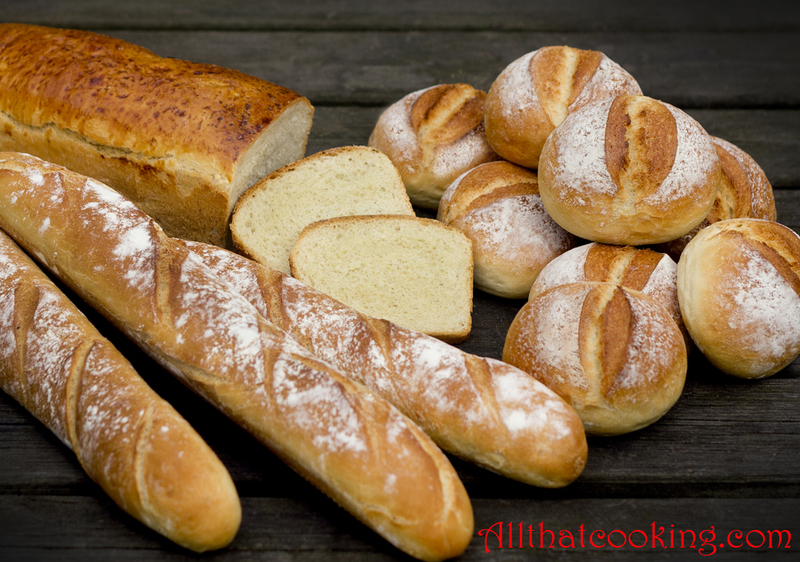 Homemade breads & baguettes sound heavenly! They look delicious. Thanks for sharing! What a great post! I LOVE homemade bread. how long do you knead?